The Next CDA public and board meeting will be held at the Chelmsford Public Library on Monday, April 30 from 7:00 - 9:00. Amongst other agenda items, we will be planning and preparing for the CDA Flea Market (scheduled for May 19) including making signs. The fisher (Martes pennanti), is relatively common in many areas despite the fact that it was once eliminated from Massachusetts. 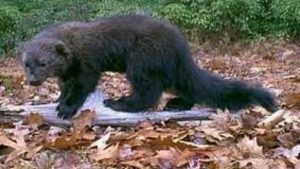 Considered by many to be a strictly wilderness species, the fisher is now appearing in more populated areas. Alert, secretive, and solitary, there is no question the fisher has made an amazing comeback in the commonwealth. As with other wildlife species, problems with fishers may sometimes arise.